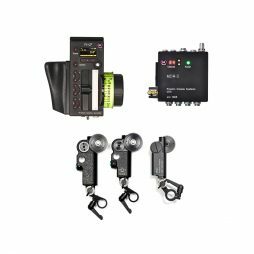 Preston is the industry’s leading wireless lens control system (WLCS), providing responsive and precise control over focus, iris & zoom movement on blockbusters and commercials around the world. 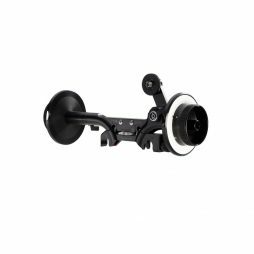 The Preston FI+Z3 system’s popularity hinges largely on its incredible reliability and wealth of features aiding focus pullers to hit their marks every time, saving time and money on set. With accurate digital LED displays and the possibility to link up with a Cine Tape system, the Preston FI+Z3 is a great addition to any professional production. 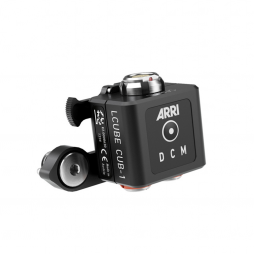 ARRI’s WCU-4 hand unit pairs up seamlessly with C-Motion’s CForce motors to create one of the most reliable, lightweight and compact wireless lens control units available. Our kit comes fully equipped with the AMC-1 brain and a range of mounting and power options for use with all cinema cameras, though the WCU-4 really shines when used alongside our Alexa Mini packages. Allowing full camera and lens control from one integrated handset and utilising ARRI’s built-in motor control through the camera body, this set-up is a favourite of Steadicam and MoVi operators. Vibrating markers that the ARRI WCU-4 features allow you to keep an eye on the action, knowing you’ll be able to hit your mark first time, every time. 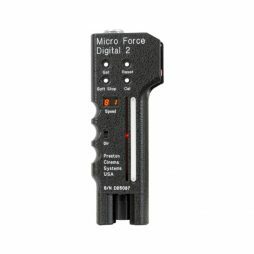 The Preston Digital Micro Force 2 couples the precise control you’ve come to expect from its predecessor with added programmable soft stops and a digital readout. 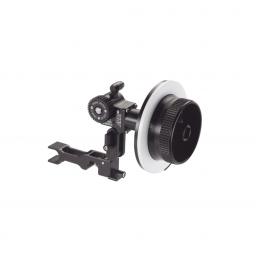 This zoom demand comes complete with an Oppenheimer pan handle adapter for tripod-mounting the unit when controlling zoom and operating simultaneously. Alternatively, the ergonic handle can be operated independently by an assistant for more difficult shots, such as a “Hitchcock” dolly zoom. The popular Cine Tape is an excellent tool for aiding a focus puller to measure distance minutely, freeing them up to concentrate on other aspects of the technical process. 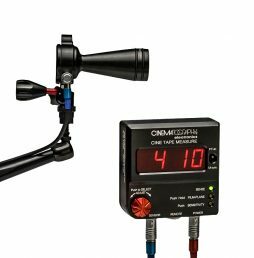 This compact and lightweight unit receives a constant stream of data, relaying exact measurements to the First AC and displaying them clearly, streamlining the film-making process and avoiding the need for retakes. 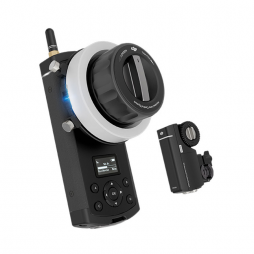 The DJI Focus is a single-axis wireless lens control system optimised for DJI products such as the Zenmuse X5 series and the Ronin-M gimbal. 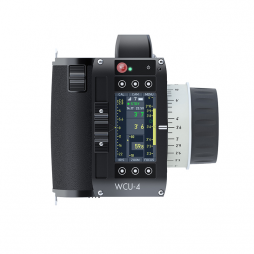 This WLCS is a great option for other camera and lens combinations where a cost-effective and compact wireless focus control is required. The DJI Focus system supports adjustable endpoints, so that photographic lenses without hard-stops can be precisely and repeatedly controlled. 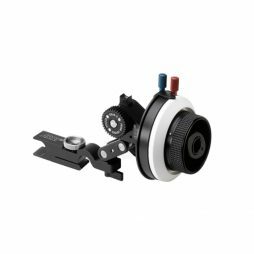 The lens motor has an integrated receiver, meaning that no additional ‘brain’ is required, which reduces the weight and makes it particularly useful for handheld and gimbal operation. The DJI Focus is also compatible with DJI drones/UAVs such as the Inspire 2 and allows for the camera operator or 1st AC to have independent control over the focus during aerial filming. This Fujinon zoom demand mounts on a tripod handle and allows you to use a Cabrio lens in a traditional broadcast set-up. The unit draws power directly from the lens interface cable and provides precise control through the various speed options and modes. The modular Arri FF5 Cine kit is a lightweight and sturdy follow focus compatible with all kinds of lenses. 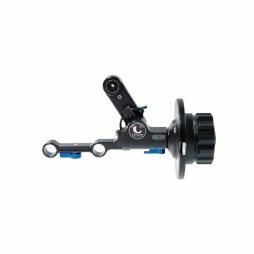 This follow focus can be quickly switched between a 15mm handheld configuration and a 19mm studio option at the turn of a screw, giving you incredible flexibility with all of the quality you've come to expect from an ARRI product. The “CINE” configuration of the FF5 follow focus has a gear ratio of 1:2, as found in all ARRI's studio follow focus units. The Arri FF4 has become the industry-standard follow focus unit for film and digital cinematography. Compatible with both 15mm and 19mm bars, this versatile kit comes with all of the additional accessories a focus-puller needs to hit their mark. 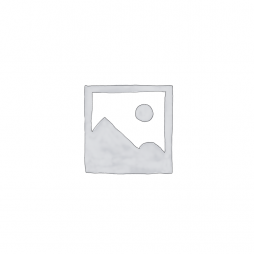 protocols to serial protocols and vice versa. The ARRI MFF-2 is a precision follow focus particularly suited to lightweight camera and lens configurations. 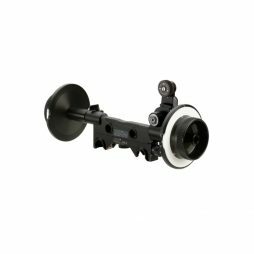 This follow focus has been designed with documentary and single-operator shooting in mind and is flexible enough to work with almost any rig. The MFF-2 features adjustable hard stops for use on lenses with infinite focal rotation, such as the Canon L Series lenses. Arri’s MFF-1 is a lightweight, single-sided compact follow focus unit with 15mm bar support. The MFF-1 features manually set hard stops and is ideal for lenses with infinite focus rotation, such as modern Canon EF glass. The lightweight, solid design of this unit makes it suitable for use with all DSLR-Cine cameras. Being 15mm bar-mounted means it can really be thrown into documentary-style shooting when you’re on the move.